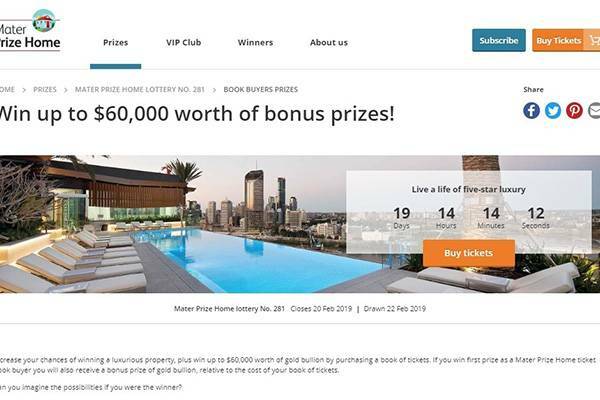 Started over 60 years ago, the Mater Prize Home Lottery has been in the business of helping a few lucky lottery winners’ dreams come to pass by getting them homes and exceptional living spaces. The lottery appeal to the human sentiment as well. Even if you don’t win you’ll be gratified by the fact that you cash is going to a good cause. Apart from getting a swanky fully-furnished house, winners also get a few living benefits to help them get properly settled in. these benefits include gold bullion, speed oats, luxury cars, etc. At a price of $2, even a 3-year old has a chance of participating in this lottery. On an annual basis, the Mater Foundation provides six fully-furnished multi-million dollar homes as well as lifestyle packages to people in the Gold and Sunshine coats, as well as in a few regional centres and cities all over Australia. Millions of people buy tickets to this lottery every year, and the funds raised through the sales of tickets are usually donated to the various research and care programs run by the foundation. These homes can be won by anyone, and all a person needs to do to be eligible is buy a ticket worth $2. 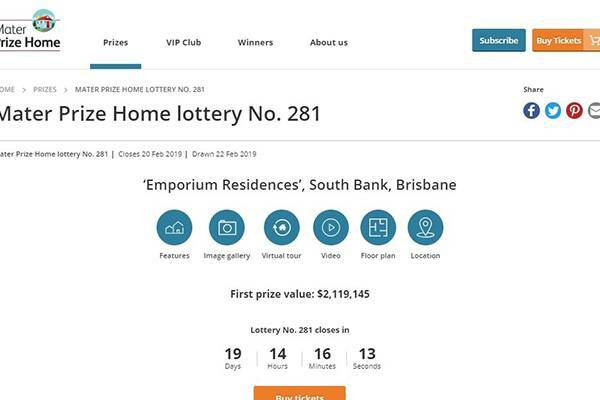 From the looks of it, there is no support for a mobile platform that gives access to services of the Mater Prize Home Lottery. This means that activities such as registering, buying tickets, and keeping tabs on the lottery itself have to be done online, either through a smartphone or a computer. 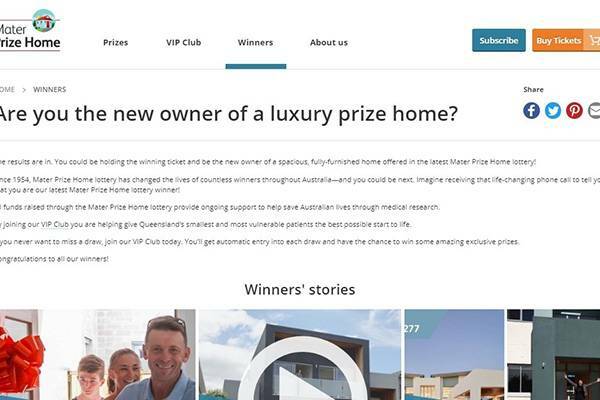 A promotion exists in the form of the Mater Prize Home Lottery VIP Club. 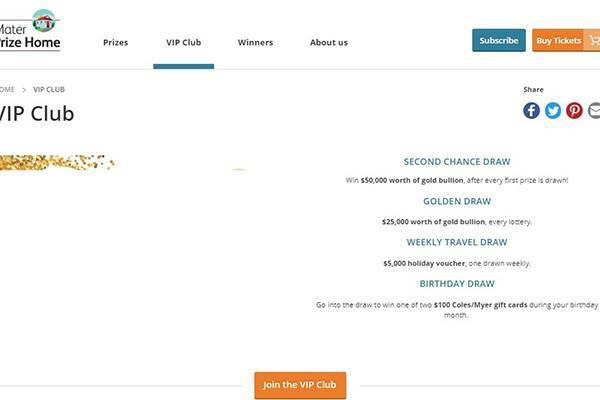 By joining this club, a player becomes a VIP member, and these members are eligible to special entries into some extra draws, including but not limited to a gold bullion draw worth $25,000, weekly holiday draws worth $5,000, and second chance draw on every lottery that is worth a mouth-watering $50,000. Tickets can either be bought on phone (by calling 1800-067-066) or downloaded through registering and making your payment directly on their website, after which you can download the PDF of your ticket. The range of a ticket is entered into the Number Generator, and this is where the winning number is gotten. Every draw takes place with a scrutineer present, and their job is to ensure that the checks put in place to ensure smooth and accountable draws are implemented. The winners of each lottery will be notified by a phone call once the draw has been completed, and a letter will also be sent to them between 2 and 3 days after the draw via registered post. However, the results of the raw will be put up on live TV and also published. Once you’ve been contacted as a winner, a handover is scheduled at you nearest convenience and you’re ready to move in. You can also choose to sell the house and put it on the market. It’s your house, right? 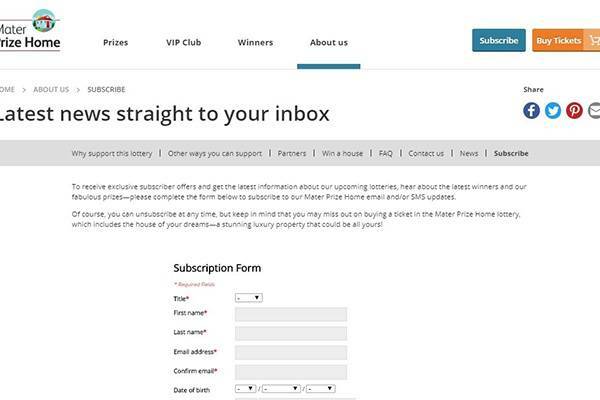 The Mater Prize Home Lottery has an extensive FAQ page, and it provides information such as ticket prices, order of lottery proceedings, how to know you’ve won, etc. You can check their Contact Us page and use it to send messages directly to the Mater Foundation. A contact form has been made available, and you can use it at your discretion. Another open channel is phone, during the operating times. 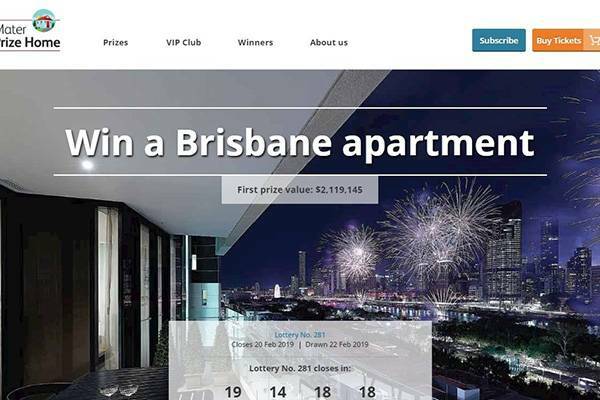 Is Mater Prize Home Lottery legitimate or fraudulent? From all indications, it definitely is. The Mater Foundation is registered and fully recognized as a charity organization with the Australian Charities and Not-for-profits Commission (ABN 96723184640) and has also been endorsed with the Australian Taxation Office as a deductible gift recipient (DGR). The site itself is properly protected with strong encryption, and there have been various success stories and positive reviews. The Mater Prize Home Lottery is an awesome way for you to make a donation to a good cause, and also possibly earn a sweet house and other packages for your troubles. It’s cheap, easily accessible, and the website offers a seamless operational experience. Definitely, a thumbs up for me!